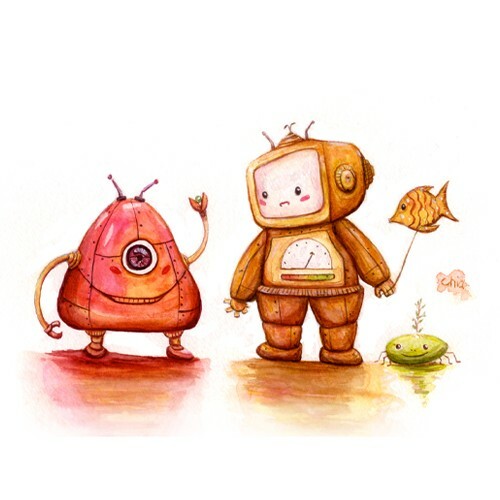 Rose Robot and TV Robot are best friends. They are having their private conversation in their secret language. Only they can understand their own code, but others cannot.